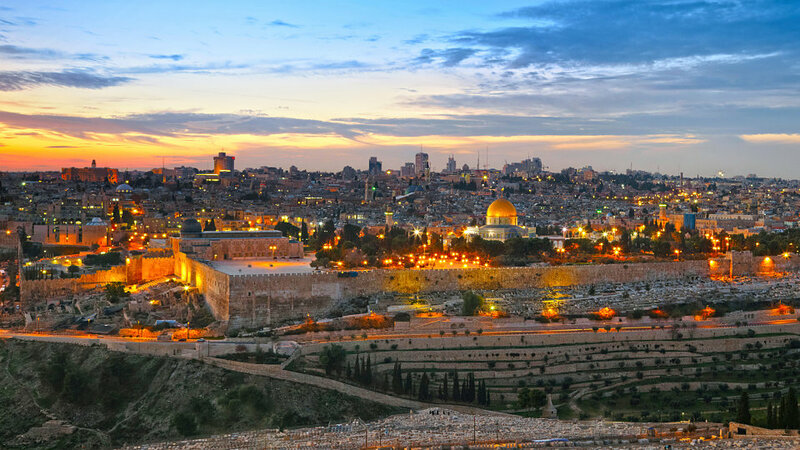 Enjoy 13 days in the Holy Land, Germany, and Austria with Cathy Gohlke & Terri Gillespie on a unique journey through Israel to Oberammergau's Passion Play. You'll walk in the footsteps of Jesus as you retrace his steps in the Galilee, Nazareth, Jerusalem, and Bethlehem. Then you'll fly to Germany for the Passion Play portion of your tour. 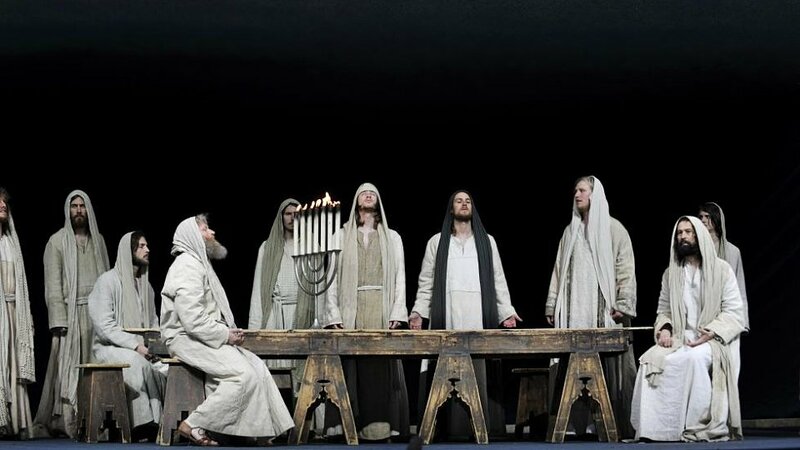 Tickets to the Oberammergau Passion Play are included with time to explore the sites in southern Germany, such as Ettal. This morning visit the Dugit Center, a Messianic outreach in Tel Aviv. Afterward visit Nazareth, Jesus’ boyhood home (Matthew 2: 23). Visit the Church of the Annunciation, built over the traditional remains of where the angel Gabriel announced that the Virgin Mary was with child. This afternoon explore Caesarea, a center of the early Christians where an angel visited Cornelius, the first Gentile believer (Acts 10), and where Paul was imprisoned for two years before appealing to Caesar. Continue to the Galilee area for dinner and overnight. Travel to Capernaum, the center of Jesus’ ministry in Galilee. Visit the synagogue which stands on the site where Jesus taught. With Bible in hand, cross the waters of the Sea of Galilee. Along the way, participate in a special onboard worship service. 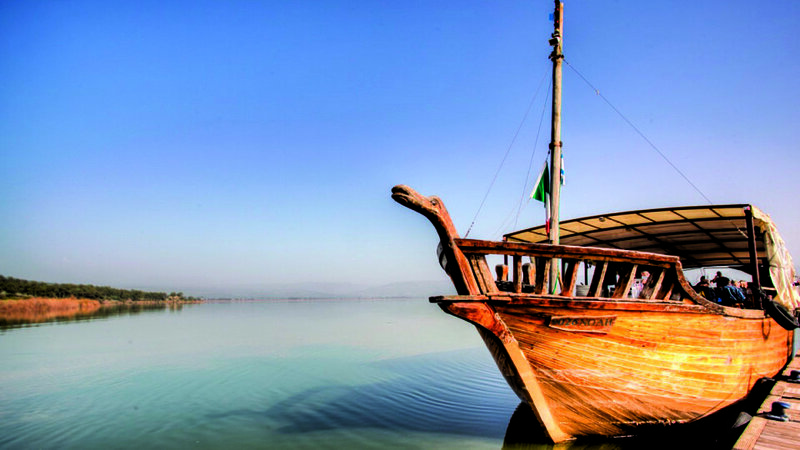 At Kibbutz Nof Ginosar, you’ll learn about the “Ancient Boat”, a rare example of the kind of boat in which Jesus would have sailed. Travel to the Mount of Beatitudes where Jesus preached to the people (Matt. 5‐ 7). At Tabgha, visit the traditional location for the calling of the disciples and the feeding of the five thousand (Luke 9: 10‐17).” Visit the Chapel of the Primacy where three times Peter professed his devotion to the risen Christ (John 21). At the River Jordan, there will be opportunities to remember your baptism or participate in full immersion baptism in the Yardenit Baptismal Site. Return to your hotel for dinner and overnight. This morning look out over Tel Megiddo (Armageddon) to view one of the most important archaeological sites in Israel. Continue to Jerusalem via the Jordan River Valley. On the way to Jerusalem, stop at the shores of the Dead Sea, the lowest spot on earth, for an opportunity to take a quick dip in the mineral‐laden waters. Head to Jericho to visit the ruins of the ancient city Joshua conquered (Josh. 6:20). Off in the distance, you can see the traditional site of the Temptation of Jesus (Matt. 4:1). Check into your hotel in Jericho for dinner and overnight. In Bethlehem, visit the cave revered as Jesus’ birthplace and see the Church of the Nativity constructed over the site (Matt. 1: 18‐25). Gaze out over Shepherds’ Field before returning to Jerusalem. Stand on the Mount of Olives as Jesus did and enjoy a remarkable view of the "Golden City" of Jerusalem. Forty days after His resurrection, Jesus ascended into heaven from the Mount of Olives (Acts 1:9‐12). Pray in the Garden of Gethsemane and envision the scenes of the night before Jesus’ crucifixion (Matt. 26: 36‐44). Continue to Mount Zion to visit the House of the High Priest Caiaphas, where Jesus was questioned the night of His betrayal (Matt. 26: 57). Meditate on the events of the Last Supper as you visit the traditional location of the Upper Room (Mark 14: 12). Walk a portion of the Rabbi's Tunnel and touch the foundation stones of Herod's Mount for the Temple. Check into your hotel in Jerusalem for dinner and overnight. Explore ancient Jerusalem at the Teaching Steps and the Western Wall. Wander the streets of the Jewish Quarter and explore the Cardo, the ancient marketplace still alive with shops. Walk the museum and grounds of Yad Vashem, Israel’s Holocaust Memorial, with its exhibits honoring the millions of lives lost during the Holocaust. Visit and worship at the Garden Tomb and experience the reality of the Resurrection. This evening enjoy a delicious meal on the Judean hills with “Abraham’s family,” and an optional camel ride at Genesis Land. Return to Jerusalem for overnight. Depart Tel Aviv and arrive in Munich where you will be met by our local representatives. Enjoy a tour of historic Munich, including a stop at the Rathaus (Town Hall) to watch the Glockenspiel. This historic clock from 1908 chimes it’s 43 bells and enchants viewers with its 32‐life size moving figures three times per day. Continue to your Alpine hotel for dinner and overnight. 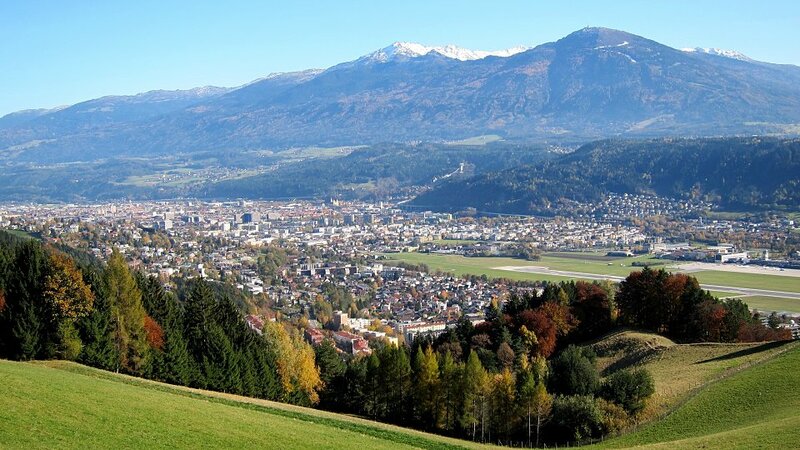 This morning you will visit the beautiful Abbey of Ettal, where Dietrich Bonhoeffer wrote during WWII, and the picture‐perfect Church in the Meadow at Wies. You will tour the magnificent Castle of Linderhof, Mad King Ludwig’s main residence. This small royal residence is a delightful fantasy home for any crazy king or up‐and‐coming mogul. Return to your hotel for dinner and overnight. 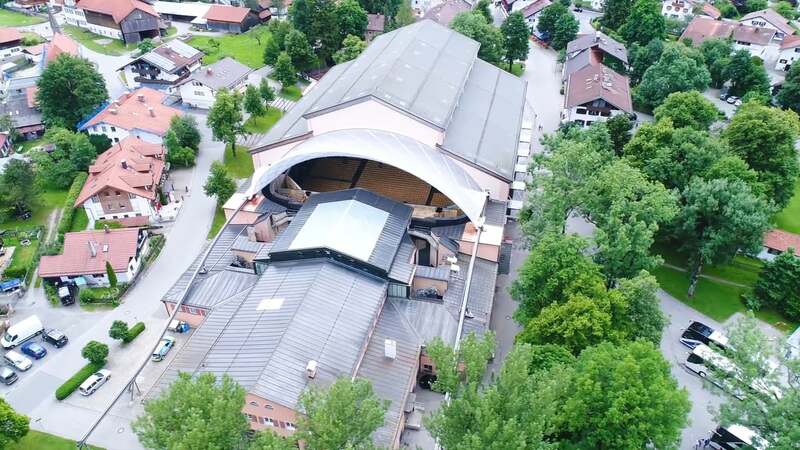 After the Black Plague that was rampant in Europe left their small village, the grateful people of Oberammergau promised God that they would show their gratitude by putting on a passion play. Over 380 years later you will get to enjoy this one‐of‐a‐kind, six hour musical and dramatic performance. You will have reserved seats, a guided tour of the town and motor coach transfers to and from the play’s theater. Return to your hotel for dinner and overnight. 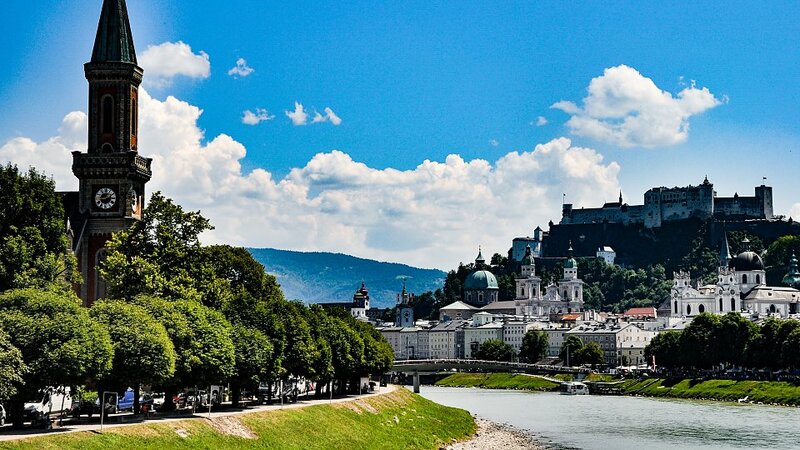 Enjoy a full day musical adventure as you explore the city of Mozart’s birth, Salzburg. You’ll visit the Cathedral and famous Horse Fountain. You’ll view Hellbrunn Castle, Mirabell Palace and ‐‐ from across the river ‐‐ see Leopoldskron Palace, which is famous as the film location for “The Sound of Music.” Visit Stille Nacht Kapelle, a chapel dedicated to the Christmas carol Silent Night.